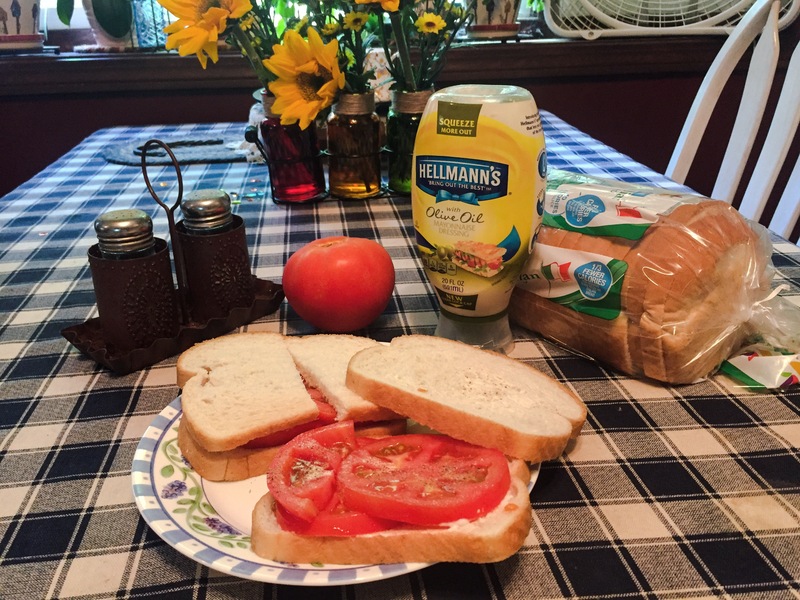 Yesterday, I made myself a special treat or lunch: Tomato sandwiches. Earlier in the week, I made a special trip to a local farm stand for the tomatoes – perfect, round, bright red. I used to grow my own. But the longer I live here, the taller the trees become and the less sunlight there is to grow much of anything edible. (Not that I ever had a green thumb – If you know me at all, you know that’s true.) My mom always grew beautiful tomatoes. So did Grampa Wilson. But they’re both gone now. So, I buy them. It’s the only time you’ll catch me eating white bread. Nothing else will do. Real mayonnaise. Lots of salt & pepper. I’m going to hell, but it’s worth it. I ate two of them. There was a napkin tucked into the neckline of my Tom Brady jersey to catch the juice that exploded out of the tomato slices. Heavenly! The growing season for fresh produce is too short in southern New England. While I was at the farm, I picked up some corn on the cob. In a few weeks, that, too, will be but a memory. 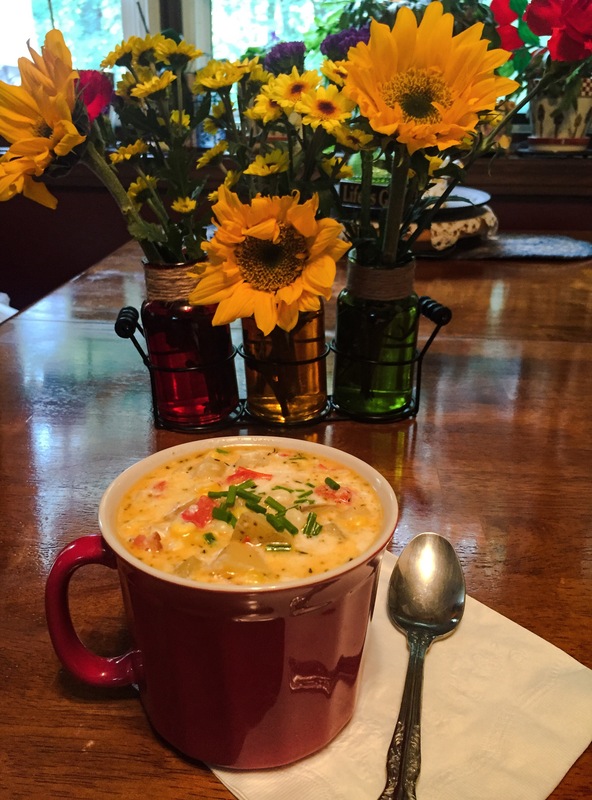 I made corn chowder – another seasonal favorite that brings comfort. Just like Mom used to make. Well, sort of. I never have been able to follow a recipe without a little creative free-styling. In addition to my traditional culinary favorites, I added something new this year. 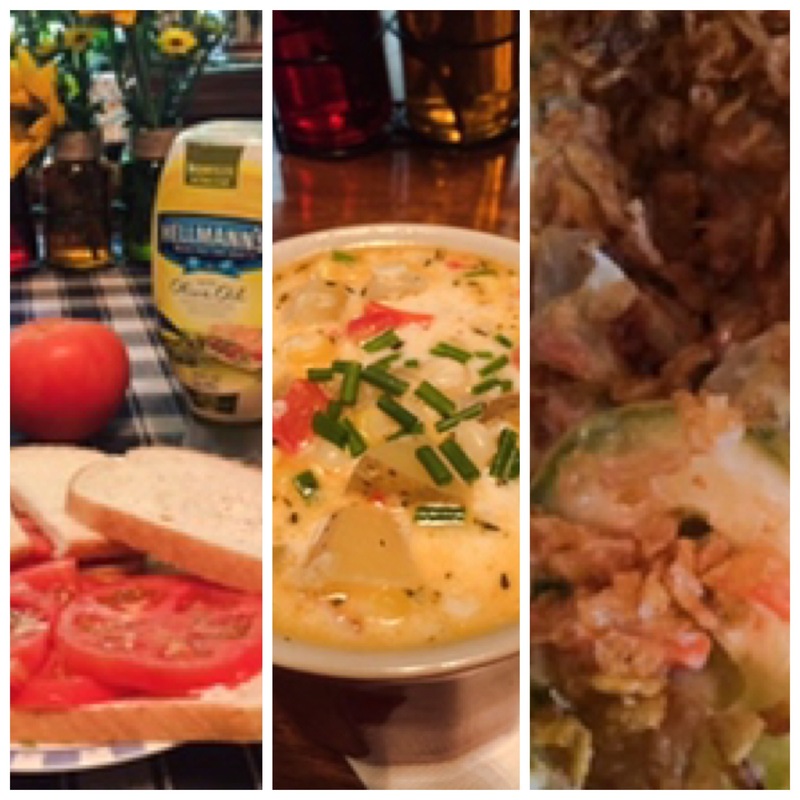 Friends Deb & Ray invited me for dinner recently and served a delicious baked summer squash casserole. A few days later, my best friend of 54 years, Eileen, came to visit. She brought me two big squashes from her garden. Coincidence? I think not. One of the ways I take care of myself is by eating mostly real food that is both nutritious and delicious. Occasionally, I make allowances for foods that comfort me, either because of childhood associations or seasonal celebrations. These are some of my favorite late-summer treats. 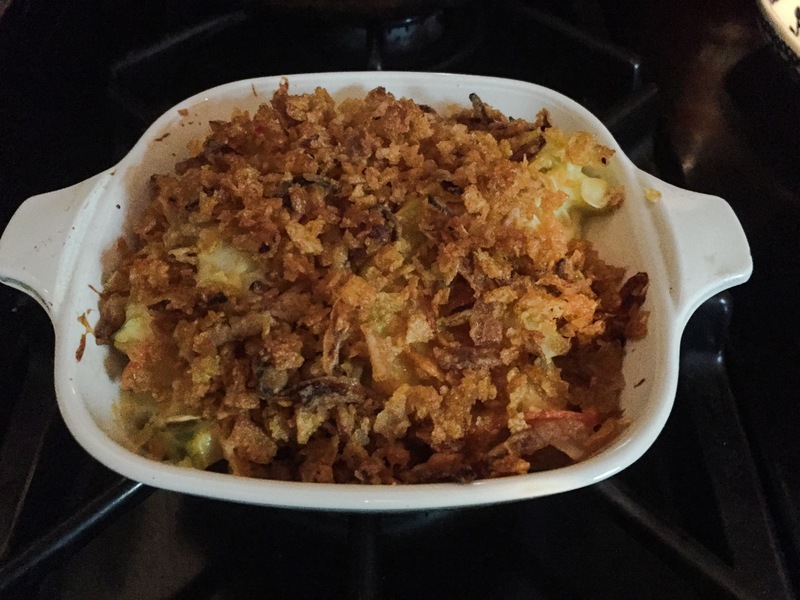 Only the squash dish required the oven, for which I am thankful, since summer’s humidity is hanging on. As the weather turns cooler, my oven will be seeing more action. The scent of baked apple crisp will soon fill my kitchen. I can hardly wait! I can do that! Maybe the next blog.